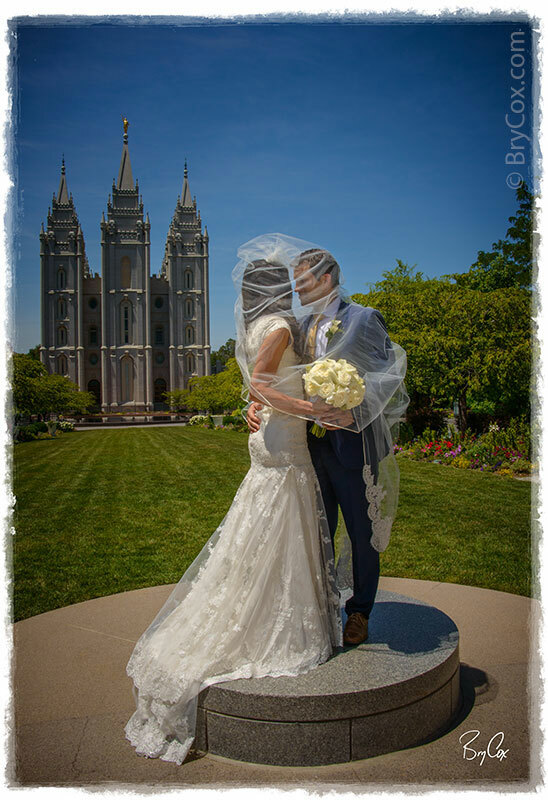 I recently shot Lindsey’s wedding during Utah’s recent and very hot heat wave. In fact, temperatures that day were over 100º at times. But that didn’t stop us from shooting outside in the sweltering heat, but it did mean we had to work quickly outside and it meant that I needed lots of external lighting to beat the sun for great skin tones and a deep blue sky. 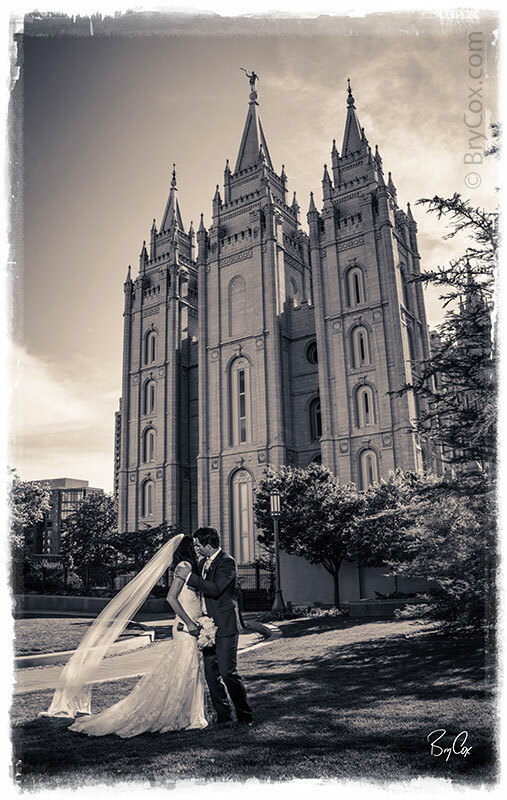 The Salt Lake LDS Temple makes for a great backdrop in her wedding images, and here are a few of my early favorites. 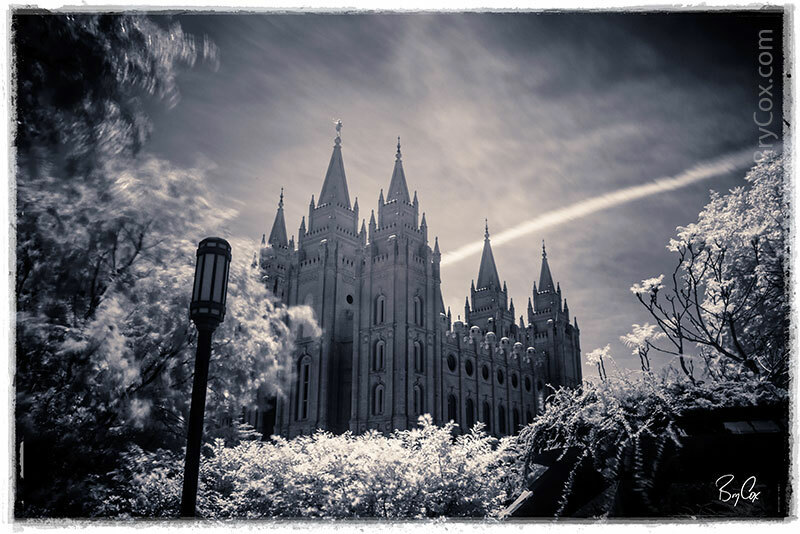 During one of my breaks, I took advantage of the hot day to shoot some really cool infrared black and white photos of the temple. They’ll be a great accent in the album design. When there is that much sun, it means lots of infrared in the air – a band of light that is invisible to the human eye. Because vegetation reflects infrared energy, leaves and trees many times will turn white while the sky will go very dark. 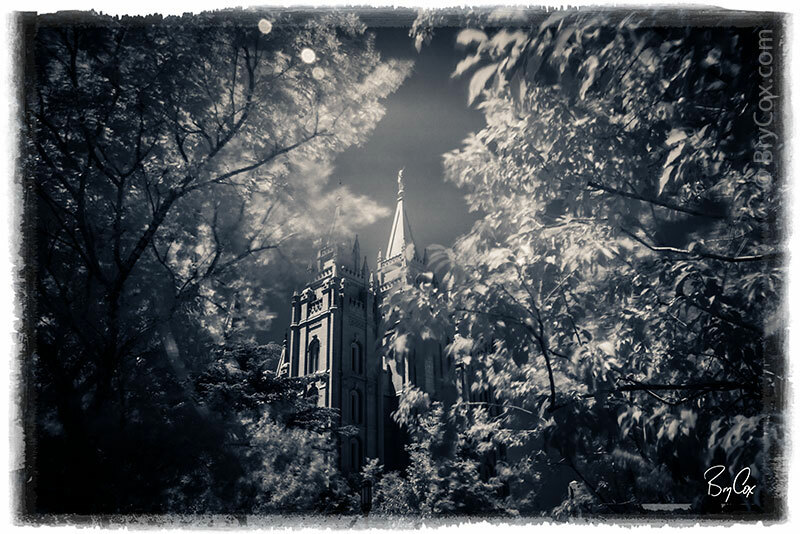 And with these images being 30 second exposures, you can see the movements and softness of various leaves and they moved and blew in the breeze. Well there’s much more to come, and when I get the album design finished, I’ll be sure to share the full design here too. 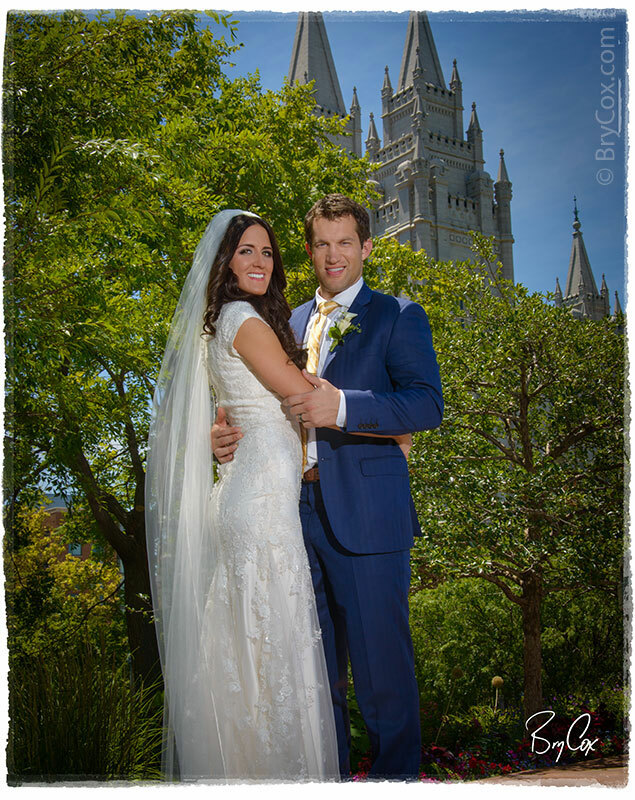 So if you’re getting married, give me a call at 801-728-3317. 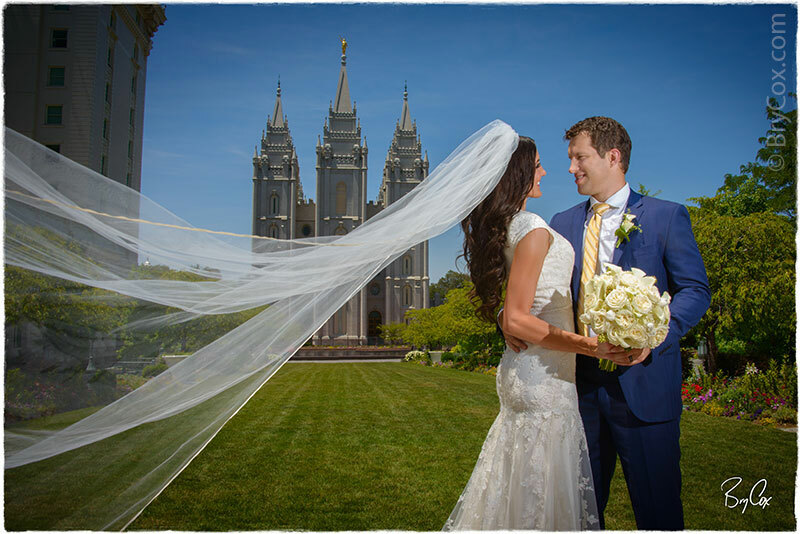 And check out these videos showing why my work is so different and why you should have one of my award winning wedding albums.